We have a lot to do in social media: post, respond, upload, monitor, maintain, reply, comment, link, etc. etc. etc. So, anything we can do to make ourselves more efficient and more productive = more better. Here are four services I've come across recently that I believe are going to save me time and energy. Brewster is a great little app for the iPhone that consolidates all your contacts from across your social media accounts. If you're like me, you have enough contacts in enough different places that you can't remember whom you have an email address for, who is only a Twitter contact and who you can text to their cell phone. With Brewster, you start typing a name (or keyword, address, etc.) and it'll show you the people that match your search. Then you can see all the contact info you have for that person from across all your social connections. I have Facebook, Twitter, LinkedIn and my iPhone address book all synced to Brewster. It also has some neat little features, like reminders about people's birthdays, warnings for people you are losing touch with (aka haven't talked to recently), and looks at what city you're in to tell you who else is in that city from your contact list. The only thing it doesn’t do (Hey, Brewster, feature request!) is sync all that information to your iPhone address book. Ricochet is a new offering from the New York Times to help fulfill the content needs of "brands as publishers." Instead of simply providing your followers a link to an article from the New York Times, you can purchase a custom link and put your own advertising around the article. So, let's say you're Oakley. You can link to an article about the latest adventures of the snowboarder Shaun White, then have display advertising on the page driving people to your best snow gear and sunglasses. This seems to make the most sense for brands with large audiences (after all, it's not generating traffic, it's just providing content), who want to ease their content creation needs, and have an online call-to-action (online store, email sign-up, survey, etc.). Another new offering, Brand Satisfaction is from LoudDoor, a research and targeting company focused on Facebook. I'm still playing around with the free trial I just got, but if it turns out to be half as useful as it looks, I'm going to be thrilled. LoudDoor has surveyed one million Facebook users to provide demographic and preference information on more than 15,000 brands' consumers. You can check out the Net Promoter Score for your brand's Facebook fans and compare to your competitors. What I really like is the ability to plug in your target audience's demographics to ascertain the preferences within that group. So say you want to do a contest targeting women aged 40-55 in the Midwest with a household income of $75,000-$100,000 -- you can see what brands they are predisposed to like, and put together a prize package including those items. Cool stuff. That picture is a stack of business cards I had let pile up from meetings, conferences, speaking gigs, etc. Some of the people I was already connected to, some I was not. More importantly, even if I was connected with someone on LinkedIn, the profile rarely had the mobile number, direct line, etc. that was provided on the business card. Enter CardMunch. After my article on the difference between losing contacts on LinkedIn versus Facebook, a few people from LinkedIn reached out to let me know about CardMunch. 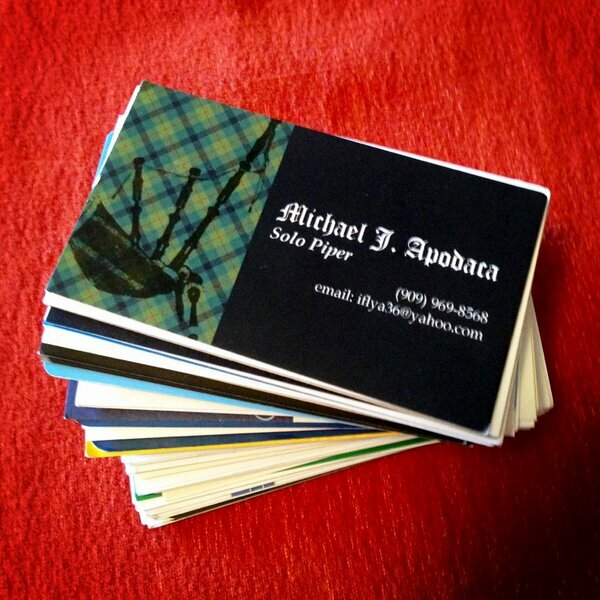 It's a free service that allows you to take a picture of business cards with your iPhone. CardMunch's team transcribes the information, then you can connect with the person via LinkedIn and sync the personal contact info with your phone. I added nearly 100 business cards and dozens of LinkedIn connections in less than 10 minutes. Such peace of mind knowing I have all that contact info in a usable way and can connect with those people on social media more easily. 4 comments about "Four Services That Make Social Media Easier ". Jenifer Kramer from Jenerosity Marketing, February 20, 2013 at 2:05 p.m.
After collecting nearly 50 new business cards at a trade show, I was LITERALLY just wishing that Cardmunch was a reality. Thank you so much for the post!!! Smita Saran from Brewster, February 21, 2013 at 11:24 a.m.
Angie Schmitz from The New York Times R&D Ventures, February 21, 2013 at 2:34 p.m.
Bryan Boettger from Reevuit, February 22, 2013 at 1:11 p.m. I apologize! BREWSTER definitely syncs with the iPhone! It's CARDMUNCH that does not. Thank you, everyone, for reading and responding!